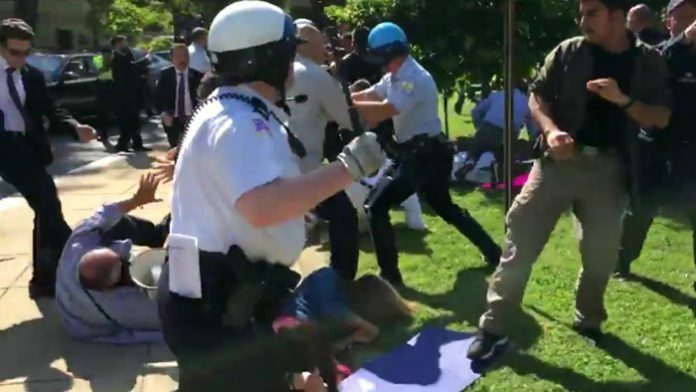 A federal judge ruled that portions of a lawsuit may proceed against three men for their alleged involvement in the beatings of protesters outside the Turkish ambassador’s residence in 2017, The Washington Post reported. In a ruling Monday US District Judge Colleen Kollar-Kotelly said the suit filed by 15 mostly pro-Kurdish demonstrators, nearly all US citizens and residents, may continue to seek damages for injuries they contend they suffered when guards for Turkish President Recep Tayyip Erdoğan attacked their group and ignited a melee. 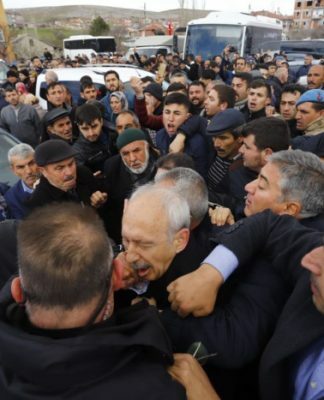 The judge’s ruling allows financial claims to continue against the Republic of Turkey, Turkish security forces and five civilians on accusations that they committed assault, battery and hate crimes under D.C. law against the protesters. 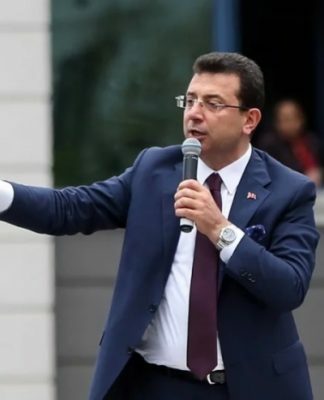 A call to the Turkish Embassy in Washington was not returned Monday. 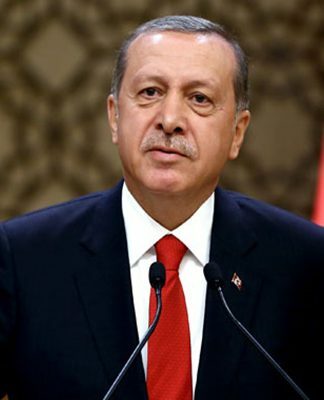 Plaintiffs were able to locate three civilian defendants in the case: Sinan Narin, 45, of McLean, Va., Eyüp Yıldırım, 50, of Manchester, N.J.; and Canadian Alpkenan Dereci. Plaintiffs’ attorneys have filed a discovery motion to try to locate the final two civilian defendants who they believe fled to Turkey, according to a court filing. Narin, Yıldırım and Dereci all asked Kollar-Kotelly to dismiss some of the counts against them seeking damages. The judge agreed that claims of conspiracy to commit battery and civil rights violations should be dismissed, and she dismissed a claim against one of them that he intentionally inflicted emotional distress against protesters. US prosecutors later dropped criminal assault charges against 11 of the guards, who had been indicted after being identified through surveillance video and passport and entry visa photographs. Four other guards who left the country soon after the incident are unlikely to face trial. Prosecutors had declined to say why the cases were dropped. 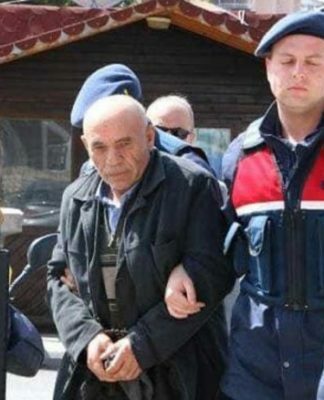 Narin and Yıldırım pleaded guilty to assault and were sentenced to 366 days in jail last April. US law generally bars private lawsuits against foreign governments but carves out exceptions, including for cases involving terrorism or wrongful actions by governments, officials or employees in the line of duty that result in injury or death on US soil. In a separate civil action, five other victims filed suit seeking more than $100 million in damages from Turkey.